It’s hard to see bankruptcy as anything but a failure. Most people are able to pay their bills, but here you are, completely swamped. The only light at the end of the tunnel is bankruptcy to help you gain some breathing room. Many people naturally wonder if they will ever find financial success. Forbes magazine recently published a great story about a man whose business fell into bankruptcy but was later able to find success with a new business. 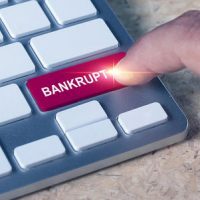 It is a story that should put to rest the idea that declaring bankruptcy means forever giving up on your business dreams. Jerry Flanagan was surprised to come out of the Army and be unable to find a job that would let him use his communication skills. A short stint in college lasted until he ran out of money, so he turned to washing dishes and working as a bouncer to make ends meet. After being hired in a warehouse, Flanagan quickly rose up the ranks. He saw how a business should be run and, eventually gaining confidence, started his own party franchise business. Unfortunately, the Great Recession soon hit, and Flanagan and his wife had to file for bankruptcy, liquidating their business. The Flanagans were distraught—and, more importantly, out of a job. When no one would hire him, Flanagan set about opening a junk hauling business, which he believed would be recession proof. He started modestly, by handing out his name and phone number on index cards but soon began to see his business grow. When he could no longer handle the hauling on his own, he started to hire other veterans as employees. Eventually, Flanagan and his wife decided to franchise their junk hauling business, which meant they needed to get serious about financing. Flanagan searched for private equity firms and found one in his own town that had invested in a car wash. Calling up the firm, he managed to convince them to invest in his business. The private equity firm helped him raise more than a million dollars. Eventually, JDog Junk Removal & Hauling expanded to over 200 franchises—a huge success. And Flanagan’s bankruptcy did not prevent him from achieving any of these goals. Small business owners should realize that if they have a realistic business dream, then they will continue to find business opportunities regardless of past missteps. If you are a small business owner struggling to keep the lights on, then you should consider your options for freeing yourself of your crushing financial debts. At Nowack & Olson, we help small business owners liquidate or reorganize. We have an intimate understanding of small business needs, and we will help you figure if it is time to call it quits. Contact us today. One of our Plantation bankruptcy attorneys will be happy to meet with you for a free consultation. All you have to do is call 888-813-4737 or send us an online message.